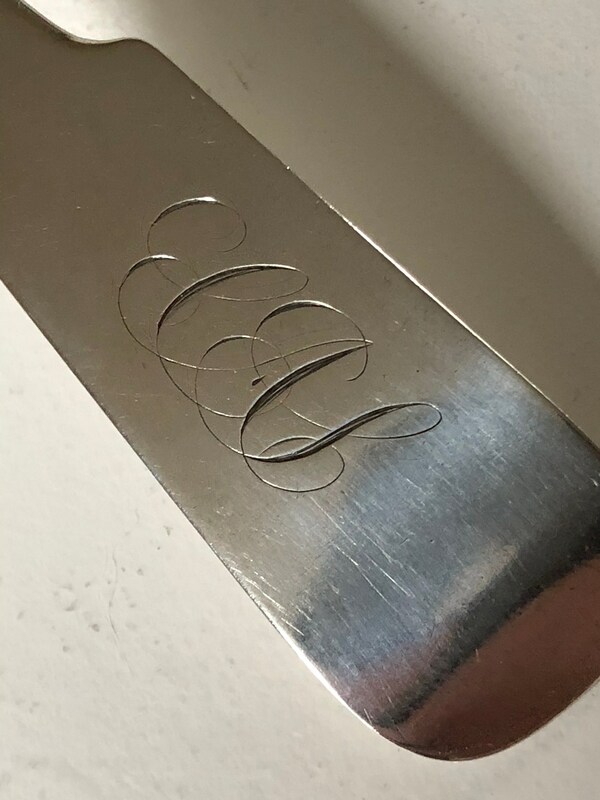 Offered here, a New York City coin silver fiddleback picture back serving spoon engraved with a monogram (CAS). 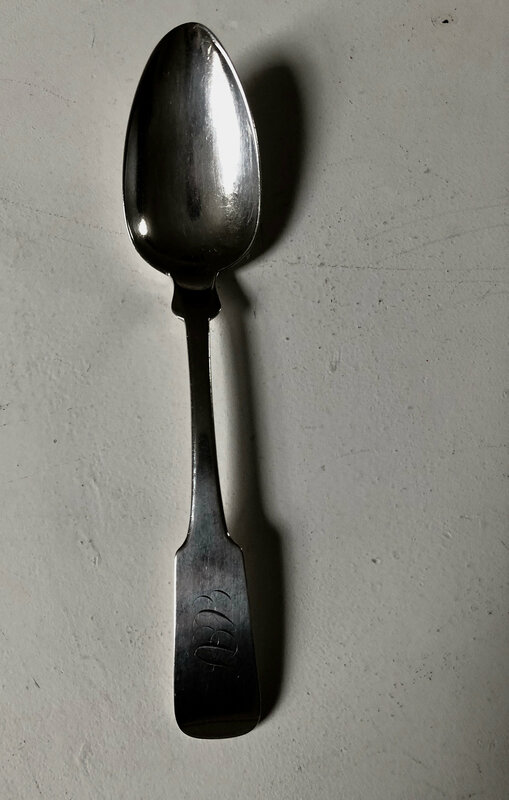 This spoon was hand made in the 19th century of sterling silver. 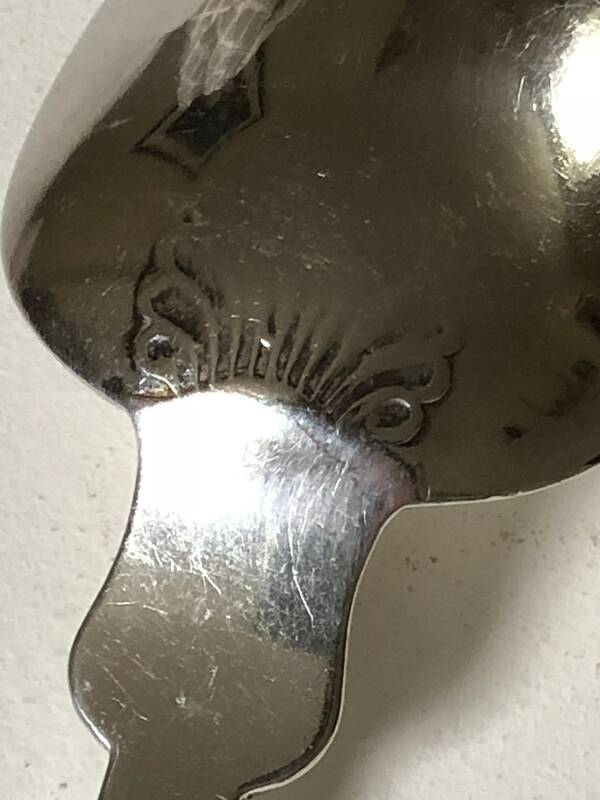 Spoon is to be considered a picture back with a nice decoration between the handle and the bowl on obverse. 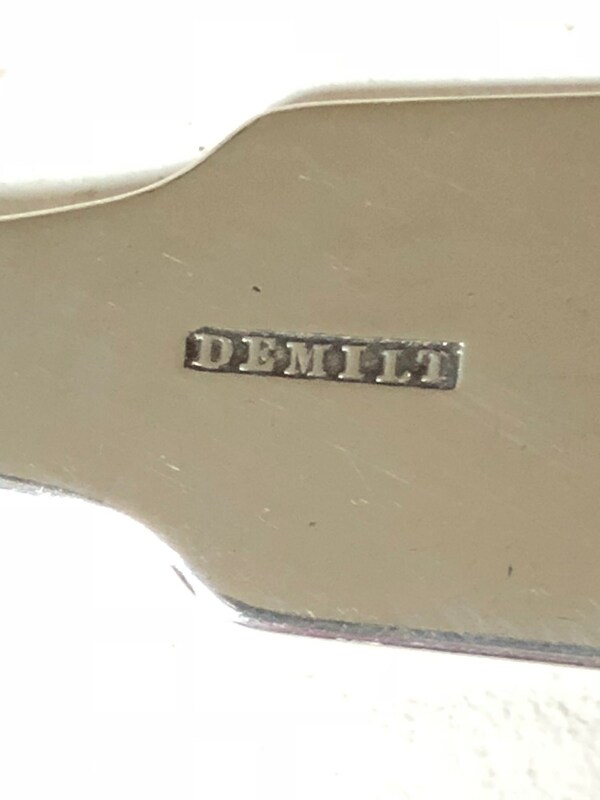 Reverse is stamped "Demilt". 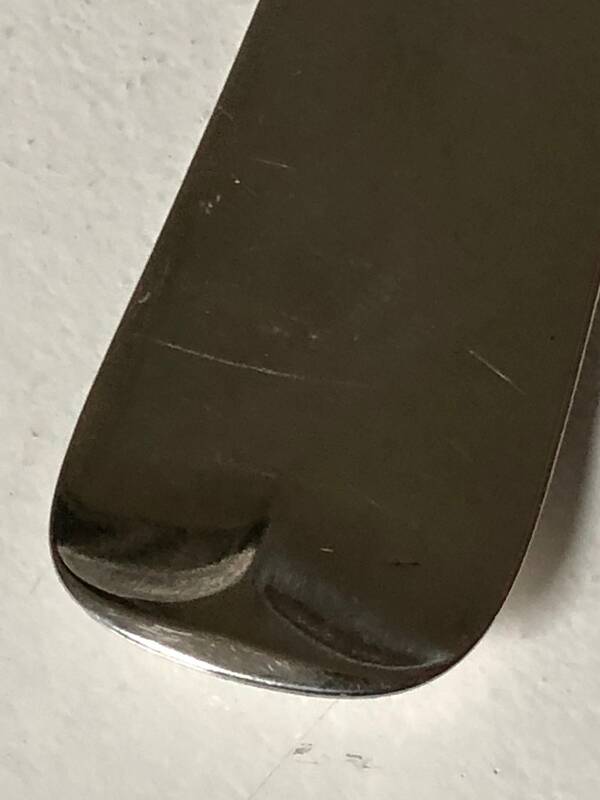 Condition is good with minor patina and surface scratching typical of a piece of this age. Strong and sturdy construction! Would make an especially fine gift! 8.5" and about 55.8 grams.